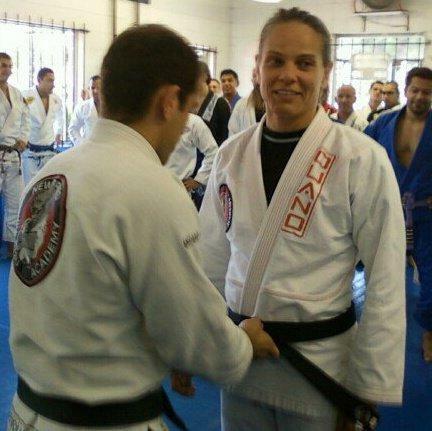 Val Worthington has been grappling for many years and currently trains at Fifty/50 BJJ in Arlington, VA. She is one of the principals of Groundswell Grappling Concepts, the parent company of Women’s Grappling Camp and other upcoming initiatives, as well as a regular contributor to the health and fitness website Breaking Muscle. Her background in writing and learning theory comes in handy in all these endeavors, as does her insistence on seeing the humor in most everything, especially herself. « Level 2 Muay Thai “shorts” test this Sat at 1pm !! !